Here’s a holiday I really like! On your first time through, most of the achievements are fine. Nothing really requires grinding, and the only annoying achievement is School of Hard Knocks, requiring you to PVP with your orphan. It’s hard to PVP during Children’s Week because a lot of people are there only for the achievement. On a character that already has all the achievements, the holiday is simply three quest lines. Do I need to do them? Not really. 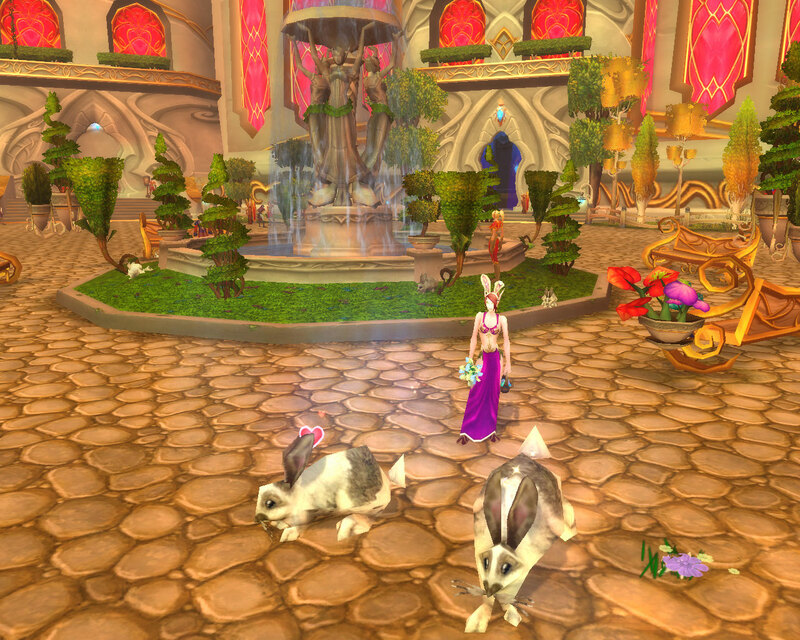 I got some Magical Pet Biscuits, but I wasn’t even expecting them. I did the quests because I enjoy seeing these moments. I especially look forward to the Bronze drakonids attempting to attack Salandria. Best of all, the quests can all be completed in less than an hour. 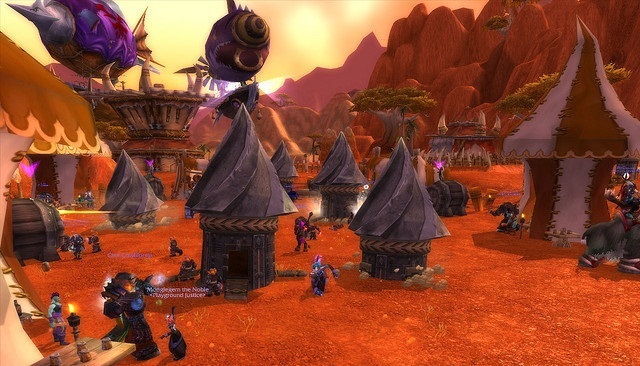 I’ve noticed a lot of people on blogs and forums complaining about the Mists of Pandaria beta. They don’t like the fact that it crashes a lot and that they can’t get stuff done. In fact, I’ve noticed similar complaints from beta testers for other products (even internally at the company at which I work). First, if you’re complaining that you can’t actually test anything because the client crashes, you’re missing the point. That’s part of the test. Yes, it works for most people, but it doesn’t work for all. That’s important data. Second, someone posted saying that his client crashes every minute. Someone else replied saying that the original poster was lucky. The new poster couldn’t play for more than 10 seconds without it crashing, and he’s tried repeatedly. Here’s a tip. Stop trying until the next build. Get your addictions in check. If you’re on a diet, it’s okay to sometimes indulge. But either have that snack (and make sure it’s okay to do so) or don’t have it. Please don’t stare at the snack drooling and panting like a dog in heat. You can always play when it releases. 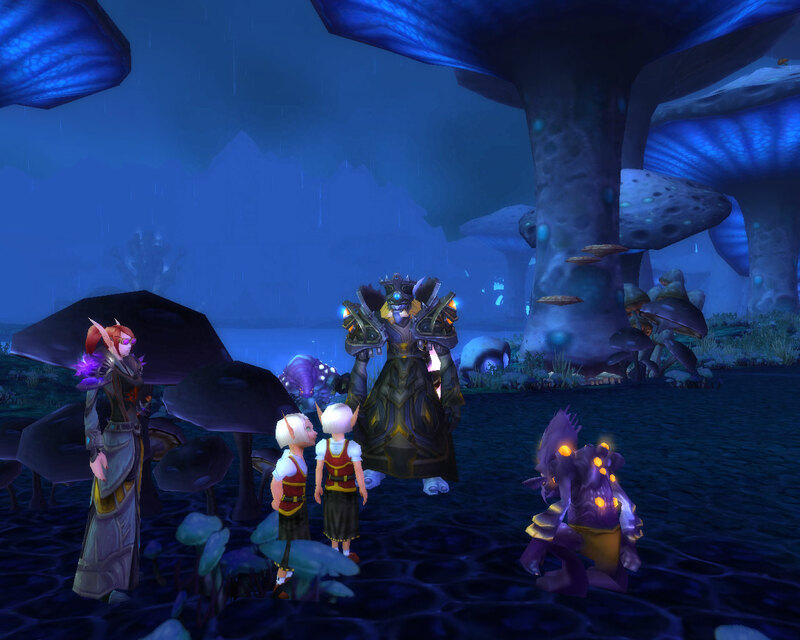 I really enjoy events such as holidays, the Argent Tournament, the Darkmoon Faire, and the Molten Front. At the same time, I have some issues with them. Blizzard wants people logging into the game daily and these events (through the use of daily quests) force players to do them daily. 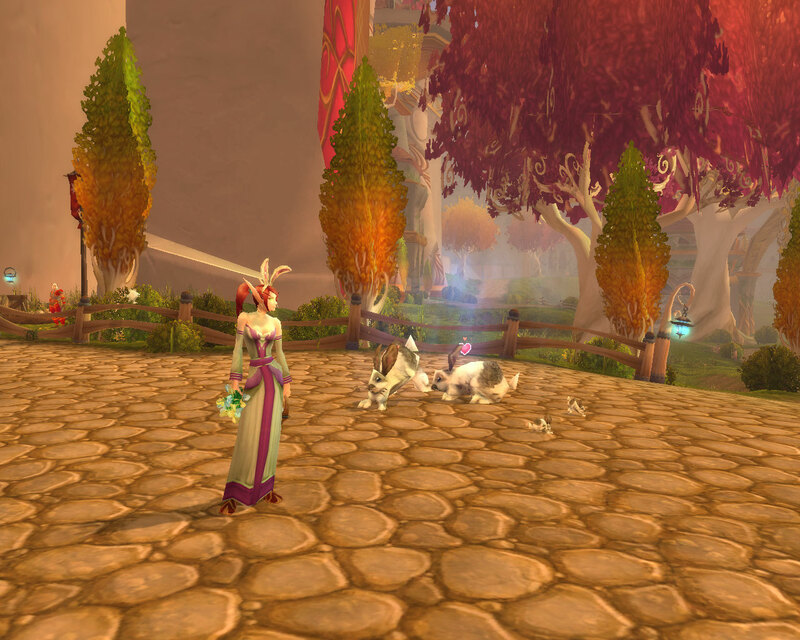 I like participating in world-changing events and rare holidays, but I don’t always have the time to play daily. What can be done about this? We can breakdown events into three types: there are events that happen once, events that are always accessible, and events that re-occur monthly or yearly. I don’t have a problem with events that happen once. In fact, these are the most exciting. Admittedly, I’m sad I missed so many, but that’s what makes them so awesome. I wasn’t max level until Wrath of the Lich King, so the first in which I participated were Zalazane’s Fall, Operation: Gnomeregan, Elemental Unrest, and even, I suppose, the Battle for the Undercity. These are very exciting in and of themselves, but the fact that they’re time-sensitive makes them seem more important. These are now events the occurred in history, and I was part of them. A great part was that I simply had to experience them. I didn’t have to experience them, and experience them, and experience them, and experience them. By contrast, holiday events and events that are always accessible have dailies that require you to perform the same tasks repeatedly. I think events like the Molten Front and the Argent Tournament work better than holidays. Some of this is due to the fact that they’re not time-sensitive. There’s no reason to force me to do either of them daily. If I do, I progress faster. That’s great! But if I don’t, that’s okay. I get to go at my own pace. I think Blizzard also did an excellent job designing both of these. I liked progressing through the tournament. It was also a way of making things feel less tedious. In actuality, I was just doing another jousting daily, but the story allowed me to feel like I was moving through the ranks of the tournament. 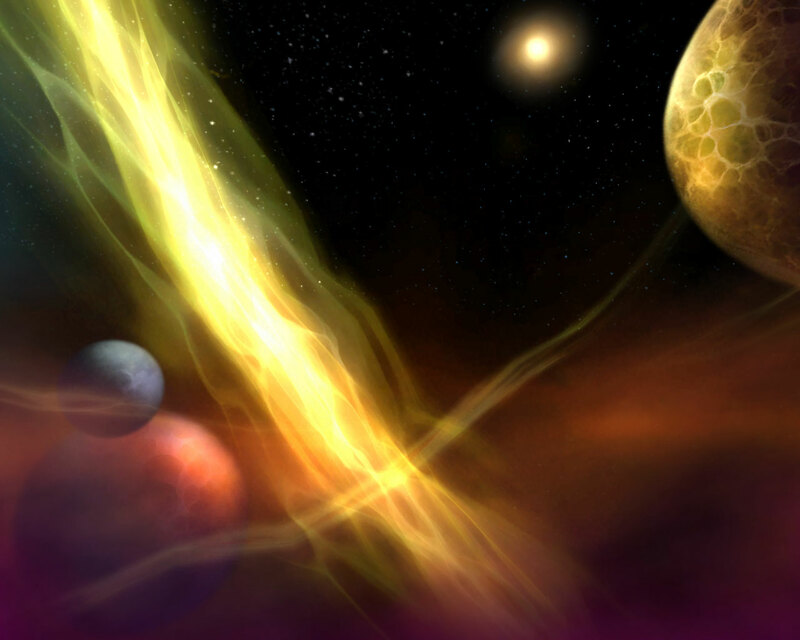 The Molten Front took this further with the phasing world. It was excellent. Holiday events are terrible. I feel that I must participate daily. Let’s take, for example, the Headless Horseman. I need to fight him daily because I want his mount. The same goes for many other holidays as well (such as with Coren Direbrew during Brewfest). Then there are vendor rewards that require a huge amount of some sort of token. These are the worst in my opinion because I have to do a bunch of dailies everyday. I either have to to do some math to determine just how many I can miss or, more likely in my case, I do everything I can until I hit that magic number. I have some proposals for improvements. One option is to allow the tokens to be obtained some infinitely-repeatable but very slow way. Doing the dailies would be best, but you don’t need to feel bad about missing some, because you can always get more tokens. Of course, then you’d have people that would do it non-stop on the first day. To combat this, you could have a second token that you can only get once per day. 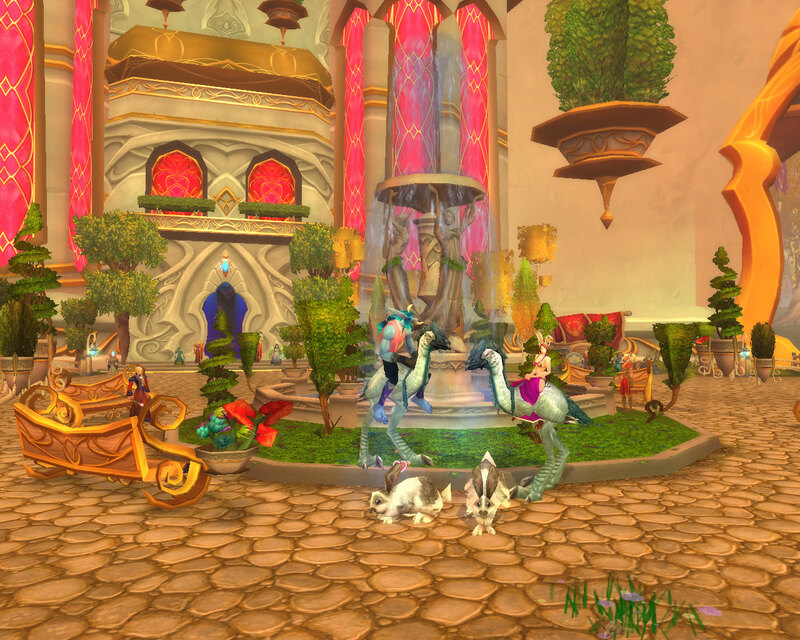 What if the holiday mount’s price tag was three daily tokens and a bunch of the other? It would be easiest to just play daily the entire week, but if you’re going to miss a bunch of days for some reason, you could grind the rest as a long as you actually played on three days. This still seems flawed. Another thing that would be helpful would be for each day of the event to give you another opportunity to do a daily (or holiday boss or whatever). This opportunity would not expire at the end of the day. A week long event would give you seven chances to do the boss. You could do it once per day. You could do it seven times on the last day. You couldn’t do it seven times on the first day because you hadn’t earned the opportunities. This is the method I like best. Most importantly, can’t Blizzard just make events that are more fun and varied? What if the Darkmoon Faire had 30 games but only 5 were randomly available each day? 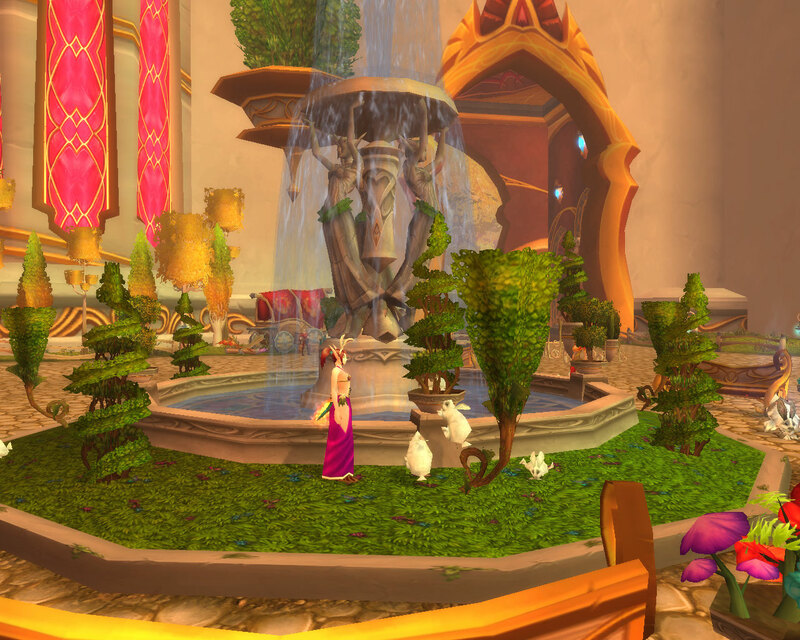 This would give a better reason to play than grinding for pets, mounts, or gear. Or how about high scores for certain quests/minigames. Most of the Darkmoon Faire games could have high scores saved. 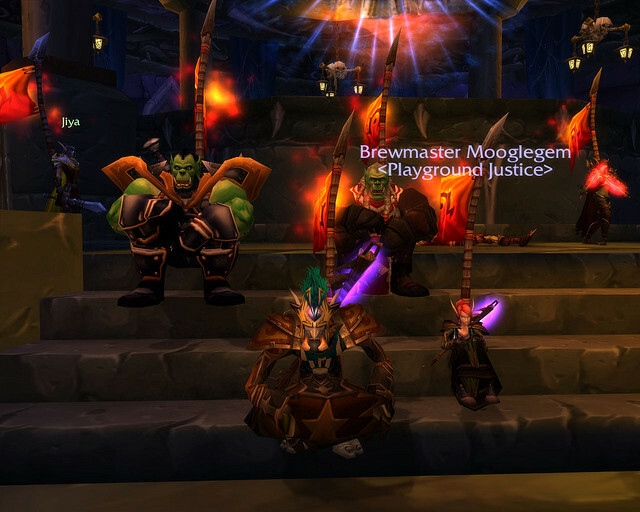 How about There and Back Again, the Brewfest keg delivery quest, or This One Time, When I Was Drunk…, the quest to defend against the Dark Irons? 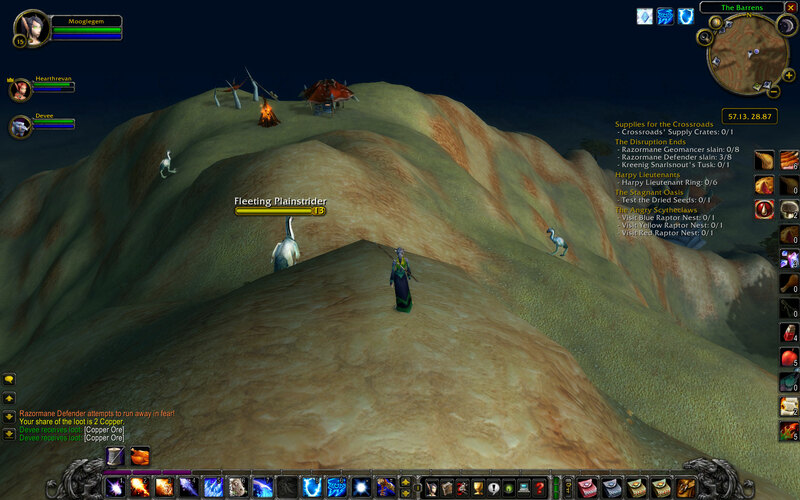 I think I’ll need to revisit my favorite WoW memories in the future. 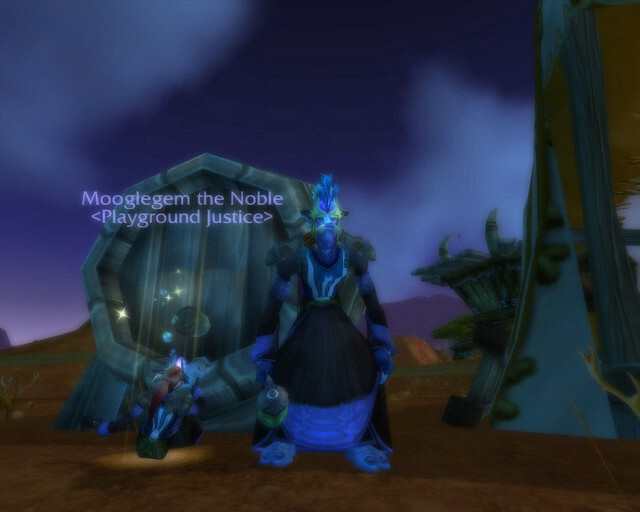 My favorite memory is most likely all the fun I had PVPing in general with gem as we leveled. However, my favorite memory of a single, defined moment was our final kill in Icecrown Citadel. 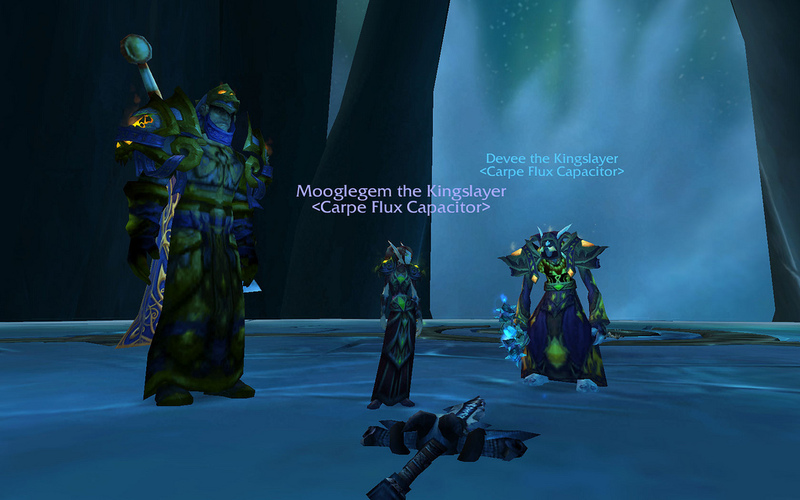 It took a long time for us to kill the Lich King. We struggled for what felt like an eternity. 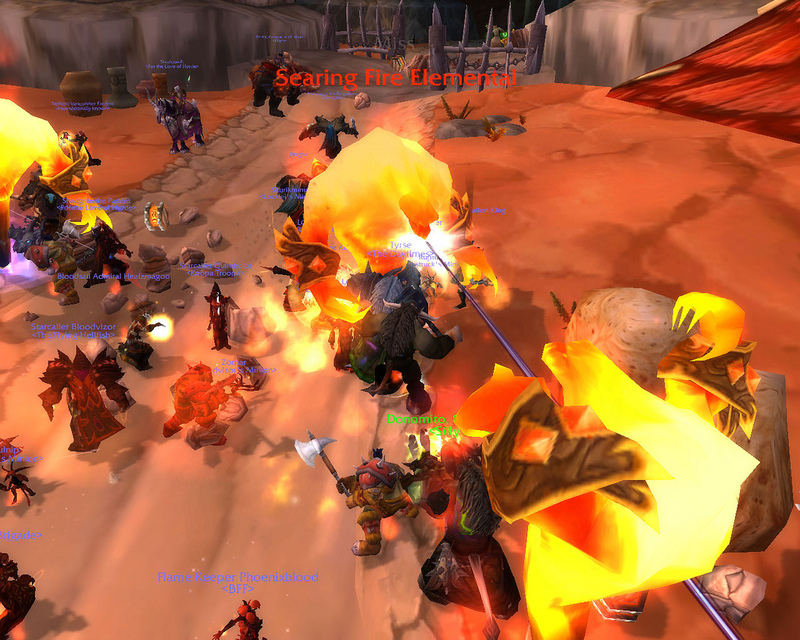 I was worried about the guild getting a kill before we fell apart for the rest of the expansion. I remember eventually having no problem with Necrotic Plague duty. I remember battling Infest. Most of all, I remember the thrill of mastering Defile. One day, it finally happened. We slew the Lich King. I had an idea of what happened. I’m going to spoil the ending here, but I assume everyone already knows. I knew that the fight ended at 10%, but I didn’t know what happened. The discovery that Arthas had planned for us to reach him made sense yet was exciting. It was so thrilling seeing Tirion burst from his ice tomb and strike at Arthas. King Terenas was a surprise, and his mass resurrection was very cool. And then that cutscene. I accidentally found out about Bolvar, yet the cutscene was still so great. Do you know how hard it is to avoid watching a major lore cutscene ahead of time? After the kill, I started to tear up. Luckily, Andy knocked on my door so I stopped myself. To add to the greatness of the fight, I won Halion, Staff of Forgotten Love. That was the best fight! This might come as a surprise, but… I grew up kind of sheltered. My parents sent me off to study the arcane arts as soon as I was able to grip a wand, and all the other kids of Lady Lissenthria’s Academy of the Arcane (LLAA) decided that I was as pleasant as a grumpy dwarf-man in a tutu. When my combat magic professor told me that although my arcane barrage was a shimmery spectacle, I was absolutely useless – probably first dead – on the battlefield, I had to get the hell out of there. I went to Kalimdor for the first time and really fell in love with the people. Especially the Taurens! They’re so big and huggable! They give the BEST hugs. I remember the first time that I reported to Thrall – he was so welcoming and willing to listen. 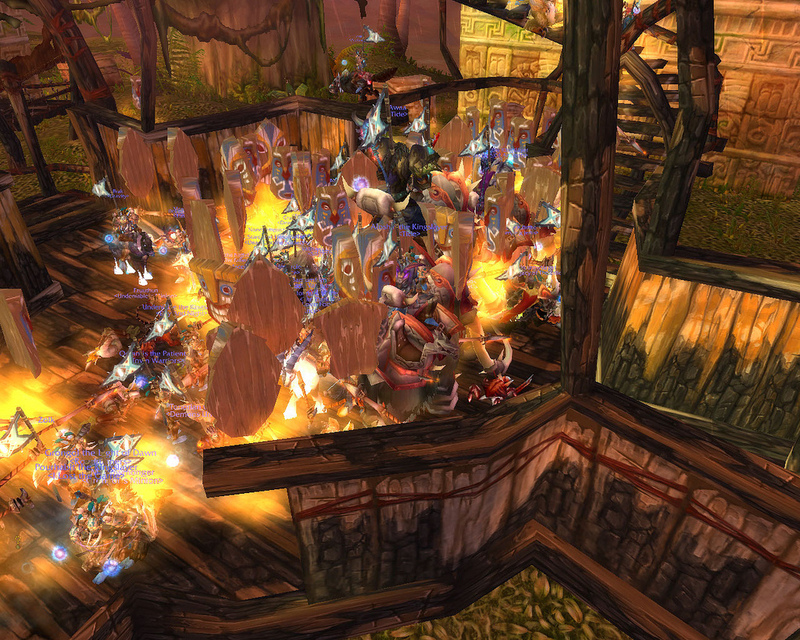 My task at the time felt so small compared to the rest of the Warchief’s concerns, but he listened and took action. I don’t remember what I was doing in this picture, but it certainly brings back memories. My hair hasn’t been black for five years! OMG! 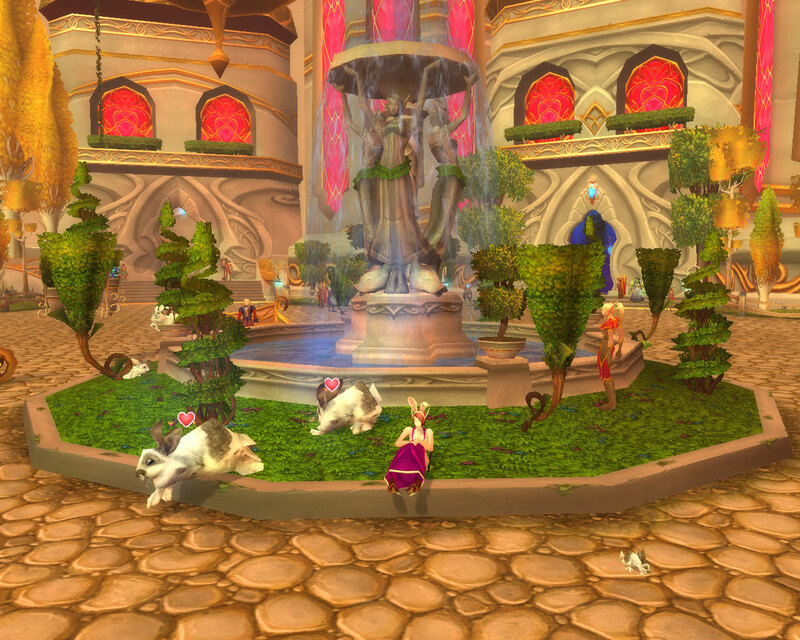 Noblegarden is over, and gem and I did manage to obtain our Swift Springstrider. I think it might just be the ugliest mount in the game. I have mixed feelings about the holiday. The only real part I like was egg hunting, but I still feel like it isn’t rewarded correctly. The only thing to get is that terribly ugly mount. Then again, I guess it motivated me enough to do it. If there were no rewards I don’t think I’d do it, but I do actually enjoy hunting for eggs. Mooglegem wonders why the bunnies are trying to climb the landscaping.